Separating out GrainCorp's malt business has its appeal, brokers acknowledge, but the devil is likely to be in the detail for the remaining integrated grains & edible oils. GrainCorp ((GNC)) has proposed separating its malting assets from grain handling and oil processing operations. The global malt business, 57% of the FY18 operating earnings (EBITDA), will be de-merged and listed separately. Grains & edible oils (new GrainCorp) will be combined into an integrated business, being 23% and 20% of FY18 operating earnings, respectively. The de-merger would enable the malt and grains & oils entities to pursue independent operating strategies. Implementation is targeted by the end of 2019. All up, the company is targeting $20m in cost savings from its proposals. Wilsons finds the malt side of the equation reasonably straightforward, while the outlook for the new GrainCorp is more complex. Details of capital structure, including gearing and dividend policies, will be released once the sale of the Australian bulk liquid terminals has been completed and an evaluation of the grain derivative proposal has been finalised. Ahead of this, the broker finds a cost savings target of $20m reasonable. Wilsons assesses that its valuation is not materially different under the de-merger proposal, although the proposed structure likely enables value to be realised much more quickly. The company has also stated it remains in consultation with parties that have expressed an interest in acquiring parts of the portfolio. Bell Potter expects some carve out of corporate costs to the malting company, offset by cost reductions. While malt is expected to perform strongly in FY19, Macquarie flags the fact the outlook for grains has deteriorated. Rainfall to date is among the lowest recorded in most of eastern Australia's grain belt, which is likely to challenge the grains business. 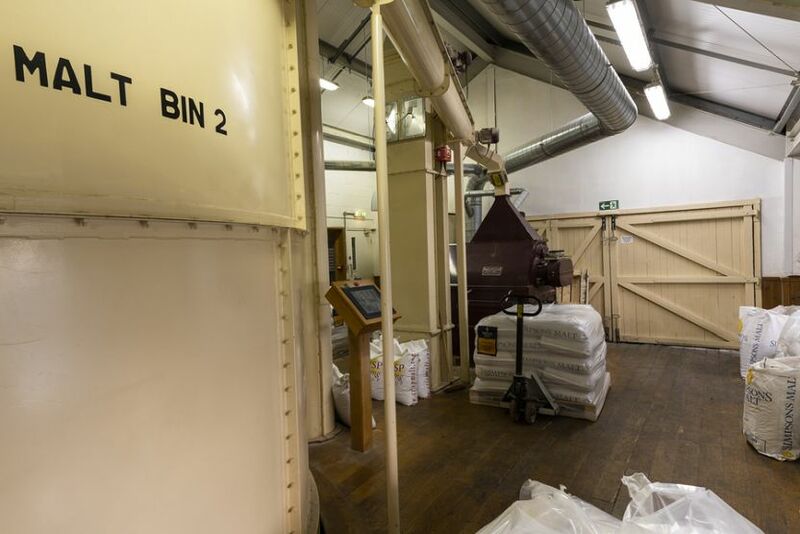 UBS observes the strategic rationale is further reinforced by the lack of synergies between domestic malt production and the malting barley procurement operations in the grains division. Hence, a de-merger is likely to unlock shareholder value. Nevertheless, the broker is cautious about projecting any earnings uplift for grains, given the increase in competition. Wilsons assesses that its valuation does not change materially under the de-merger proposal, although the proposed structure likely enables value to be realised much more quickly. In December 2018 GrainCorp received a non-binding, indicative proposal from Long-Term Asset Partners (LTAP) at $10.42 a share and there has been no definitive update since then. UBS envisages limited downside risk to the current share price, despite the lack of an update on LTAP's offer. Still, it is unclear to brokers whether the de-merger proposal alters the chances of GrainCorp receiving a formal takeover offer. Deutsche Bank finds the de-merger scenario credible, in order to unlock shareholder value should the LTAP takeover offer not materialise. On a de-merged basis the broker envisages 15% upside to the current share price. The company will implement a grain derivative, similar to that proposed under the LTAP offer, to minimise the earnings downside to the new GrainCorp. On this subject, Bell Potter asserts the driver of value in the residual business appears to be the extent to which east coast grain volatility is removed. The intention behind the new derivative product being explored is to find a minimum level of fixed cost recovery in domestic grains, based on the size of the east coast crop. The derivative will have a cost component that is yet to be clarified and will still leave the new entity exposed to the underlying performance of the marketing and trading operation, which Bell Potter points out is increasingly moving offshore, and increasingly opaque in terms of its contribution. The broker, not one of the eight monitored daily on the database, intends to reassess the value when final details emerge about the structure. Bell Potter retains a $9.45 target and Hold rating. A higher earnings multiple may be justifiable, given the lower risk, but UBS opts to retain current valuations for the grains division. The broker increases its stand-alone malt division multiple, believing as a standalone company it will be more attractive to investors. There are three Buy ratings and one Hold (Morgans, yet to comment on the proposal) on FNArena's database. The consensus target is $9.41, signalling -0.9% downside to the last share price.